Why Do People Use Mulberry? Oral preparations of Morus rubra (Mulberry), like mulberry powder, are used for the treatment of common cold, sore throats, to treat joint pain, cough, rheumatoid arthritis, osteoarthritis, hypertension, diabetes, urinary incontinence, hyperlipidemia, tinnitus, dizziness, constipation, asthma, premature graying of the hair and hair loss. It is also taken orally as an antipyretic, diuretic, tonic, anti-inflammatory and sedative. In Foods Items - Mulberry berries are eaten cooked or raw. Possibly Safe - Oral and appropriate consumption of Mulberry is thought to be safe to use. Mulberry powder used in a dose of 1.2 grams thrice every day has been safely utilized for up to five weeks in clinical studies. Avoid In Pregnancy and Lactation = Mulberry should avoided by pregnant and breastfeeding mothers because to rate its safety in such conditions there is limited and unreliable information available. Mulberry is possibly effective in following conditions: Diabetes - Clinical studies recommend that oral consumption of Mulberry powder may effective to lessen the fasting blood glucose levels and increase the blood glucose levels after a sucrose load in individuals suffering from type 2 diabetes. There is a clinical study which confirms that leaves extract of powdered Mulberry ingested in a dose of one gram thrice every days for four weeks may lessen the fasting blood sugar levels up to 27% as compared to an 8% reduction with glyburide 5 mg every day. Neither treatment considerably decreased the level of hemoglobin A1C over the four-week period. There is another clinical study which showed that single doses of 0.8 to 1.2 grams of leaves powder of Mulberry standardized to contain 1.5% of the constituent 1-deoxynojirimycin may decrease the peak blood glucose level after oral consumption of 50-75 grams of sucrose in healthy individuals and those suffering from type 2 diabetes. In following condition/disease there is limited and unreliable information available to rate the efficacy of mulberry powder: Hyperlipidemia - According to clinical findings, 24 people with type 2 diabetes when used one gram of Mulberry leaf three times every day for four weeks experienced a fall in triglycerides by 16%, serum total cholesterol by 12%, very-low-density lipoprotein (VLDL) cholesterol 17%, low-density lipoprotein (LDL) cholesterol 23% and free fatty acids by 12%. Plasma high-density lipoprotein (HDL) cholesterol also increased up to 18%. The most effective parts of Morus rubra are the stems, leaves and fruits. Constituents found in Mulberry leaves include steroids, flavones, amino acids, triterpenes, trace minerals, vitamins, and N-containing imino-sugars. Mulberry leaf is thought to have antioxidant and anti-hyperglycemic impacts. N-containing sugar, known as fagomine, potentiates glucose-actuated insulin discharge. Number of compounds found in the roots and leaves have alpha-glucosidase inhibiting activity. Alpha-glucosidase enzymes in the brush border and intestinal lumen are critical for carbohydrate assimilation. When they are repressed, glucose is discharged all the more gradually from food, decreasing the initial postprandial crest blood glucose levels and delaying glucose assimilation and endogenous insulin emission so levels don't fall as low before the next meal. Mulberry leaf extract restrains various human intestinal alpha-glucosidase proteins. It represses maltase, sucrose and isomaltase by 95% - 99%; trehalase by 44% and lactase by 38%. Animal models demonstrates that diabetic rats given dried leaves powder of Mulberry as 25% of their diet for eight weeks turned out to be virtually normoglycemic and stopped excreting glucose in their urine. 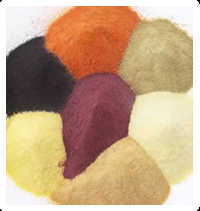 Use of mulberry powder also seems to increase the activity of antioxidants like catalase and superoxide dismutase. Animal model research also suggests that rats with hyperlipidemia given Mulberry powder gained less weight, had reduced atherosclerotic lesions and had lower blood glucose and lipid levels as compared to rats not given Mulberry powder. Decrease in atherosclerotic lesions is thought to be because of increased resistance of LDL to oxidative changes. Animal models also demonstrate that diet supplemented with Mulberry root bark extract build antioxidant movement and enhances lipid levels. Mixes found in Mulberry leaves that have free radical scavenging activity include a glucopyranoside of quercetin, quercetin, moracin N, moracin C and chalcomoracin. Prenylflavane mixes in Mulberry were found to have the greater or same antioxidant activity as quercetin. Extracts from dried mulberry have some anticancer action. In vitro, mulberry extract restrain the development of HL60 leukemia cells. These extract also seem to inhibit development of multi-medication safe cells. What Are The Side Effects /Adverse Reactions of Mulberry? Typically, oral consumption of Mulberry is well tolerated. Mulberry powder seems to have anti-hyperglycemic effects rather than hypoglycemic effects. Healthy individuals who consume 1.2 grams of the powder before every meal for 38 days did not experience hypoglycemia. How Mulberry Interacts With Other Herbs and Supplements? How Mulberry Interacts With Drugs? How Mulberry Interacts With Foods? How Mulberry Interacts With Lab Tests? How Mulberry Interacts With Diseases and Conditions? What Should Be the Dose/Administration of Mulberry? ORAL To control diabetes, one gram of powdered Mulberry leaves should be consumed thrice every day. There are some findings according to which particular Mulberry leaf powder standardized to contain 1.5% 1-deoxynojirimycin is effective for the treatment of diabetes. In order to cure hyperlipidemia, one grams of Mulberry powder should be consumed thrice every day. Mulberry is a small-to-medium sized tree or shrub. Its fruit is like a blackberry, but pinkish red or violet in color and is tasteless. Mulberry is local fruit in China, but came to the United States during colonial times in an effort to establish a silkworm industry. Mulberry wood is valued for its flexibility, durability and elasticity and has been utilized to make hockey sticks, tennis rackets, boats and furniture. The fibrous stem has been utilize in production of paper.